Book your refreshing overnight stay in the luxurious Stormont Hotel in Belfast. 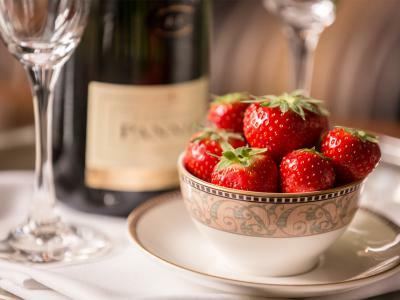 With some bubbles and berries upon your arrival, you'll experience the best start to your stay. A £50 deposit will be taken at the time of booking, per room booked. Good news! Although this deposit cannot be refunded it can be transferred, for the same offer to an alternative date. Offer is subject to availability. One bottle of prosecco per room.